An Adult Woman With Red Hair Plays And Strokes Her Dog Of The Samoyed Breed. White Fluffy Pet In A Park With Mistress On A Green Lawn Have Fun. Foto Royalty Free, Gravuras, Imagens E Banco De Fotografias. Image 83813746. Banco de Imagens - An adult woman with red hair plays and strokes her dog of the Samoyed breed. White fluffy pet in a park with mistress on a green lawn have fun. An adult woman with red hair plays and strokes her dog of the Samoyed breed. 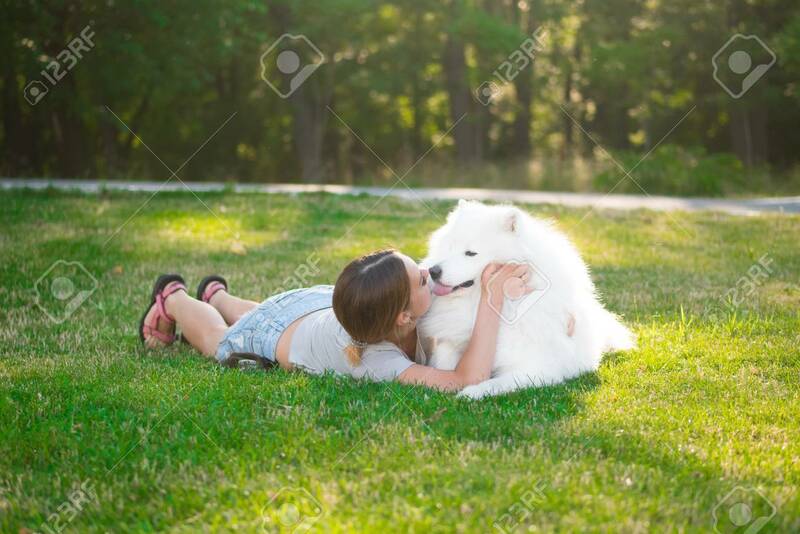 White fluffy pet in a park with mistress on a green lawn have fun.